Trend forecasters predicted big things for 2017, and unlike beauty and fashion, interior trends aren’t fleeting, so these predictions will be sure to last the year to come. Colour, design and decor have all had an overhaul, and opulence, renewal and expression are back in focus. Add a touch of creativity with the use of old-school cork (yep, it’s back in a big way!). 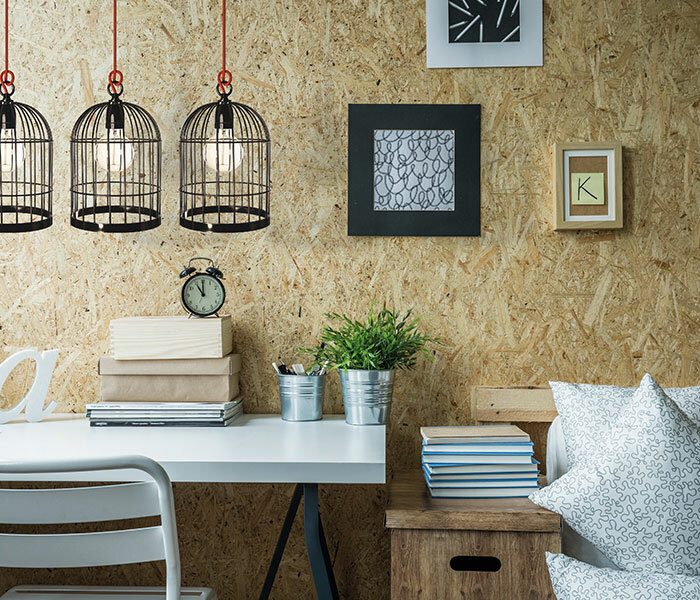 Perfect for your home office, the material adds instant warmth and texture. It’s not only cropping up in furniture and flooring, cork is also proving a popular choice for entire wall solutions, making it a true design statement. The 2017 colour palette makes you feel as though you’ve just been transported to the Sahara. Think of the burnt tones of sunset, a sky of stunning soft blues and blush pinks, or desert sands coloured golden with terracotta and hazelnut hues. This year, dark wood pieces are trending, so it’s the perfect time to offset the deep moodiness with rich colour palettes. Blues, spicy mustards and greens will work perfectly. Pantone have named Greenery as ‘Colour of the Year 2017‘. Bringing the outdoors in, this fresh and zesty yellow-green shade evokes a sense of renewal as the world emerges from a hard and heavy 2016.